Hi everyone! 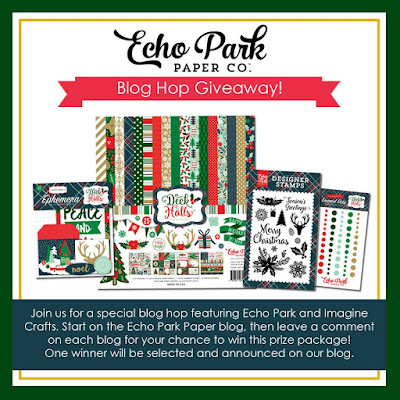 Welcome to this stop on the Echo Park Paper and Imagine Crafts Blog Hop!! 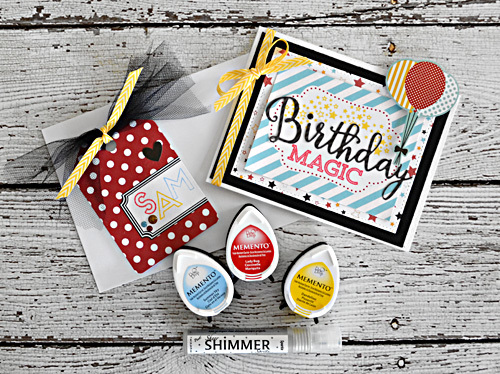 I was so excited to choose ink colors to coordinate with the "Magical Adventure" collection! Don't you just love it when you can find ink colors that match paper colors perfectly?? Can you tell? Trust me, it's all sparkly and fun...just not easy to photograph. Now, be sure to leave a comment on this blog post, before hopping along to the next blog, for a chance to win this incredible prize package! After you say hello, follow along to the next blog on the list - I'm sure you're going to find lots of inspiration as you go! Good luck! This contest ends at midnight on Sunday - the winner will be announced on the Echo Park Paper Blog (HERE) on Monday (October 10th), so be sure to check in to see if you are the winner! Love this card, I am just starting to get into making my own cards. This is a great inspiration to keep learning more techniques! 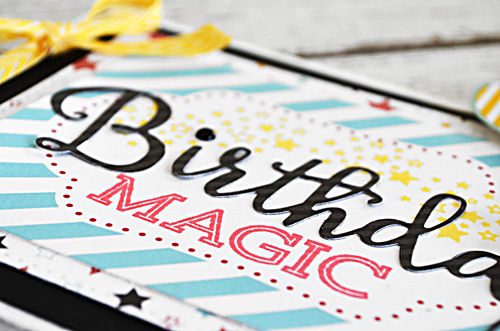 This looks like a great card suitable for an older child or teen. Great card! 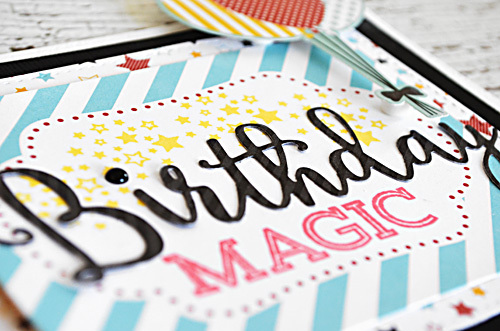 What a fun card - looks like such a fun paper collection! The best so far! I love it! Super cute project! Lovely colors! Love the tag and card! ooo - these ink colors really match well with the papers! 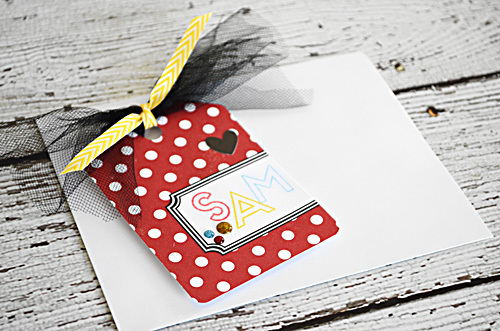 Love your tag and card! Very fun! Love the colors and details! This card mae me smile as I'm sure it will the recipient! Two great projects - love the bright colors! Sweet card and tag ! So much fun on this card! Love it! 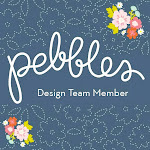 Pretty card and tag! Love the layers and embellishments! So bright and festive, love it! Such a fun and colorful card! Anyone would love this for their birthday! Super card, makes you happy to see it! 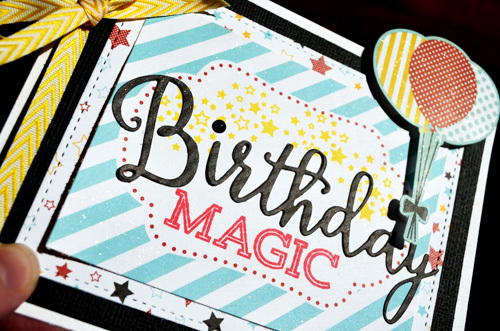 Very pretty and fun card :) love the happy mood it inspires. Great colors and elements. Thanks for sharing !! This project just screams Fun Fun Fun! Love the bright colours! So fabulous! Super cute card. Love the bright colors and all the elements! Love the colors. So inspiring. Gives a vibe of magic. 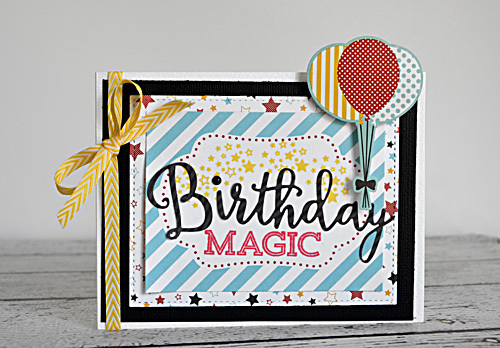 Really fantastic card, love all the bright colours and the mix of patterns! I can see the sparkle a bit but I imagine its very sparkly in person. Fun! Love the tulle you added! Loving all the cute details on these adorable projects. Love the card and tag. What a great idea to add stars just at the top of the die. Thanks for sharing. 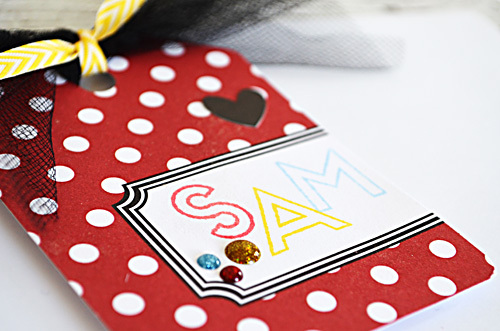 Love this card and tag! This is so fun! Love the colors and papers!